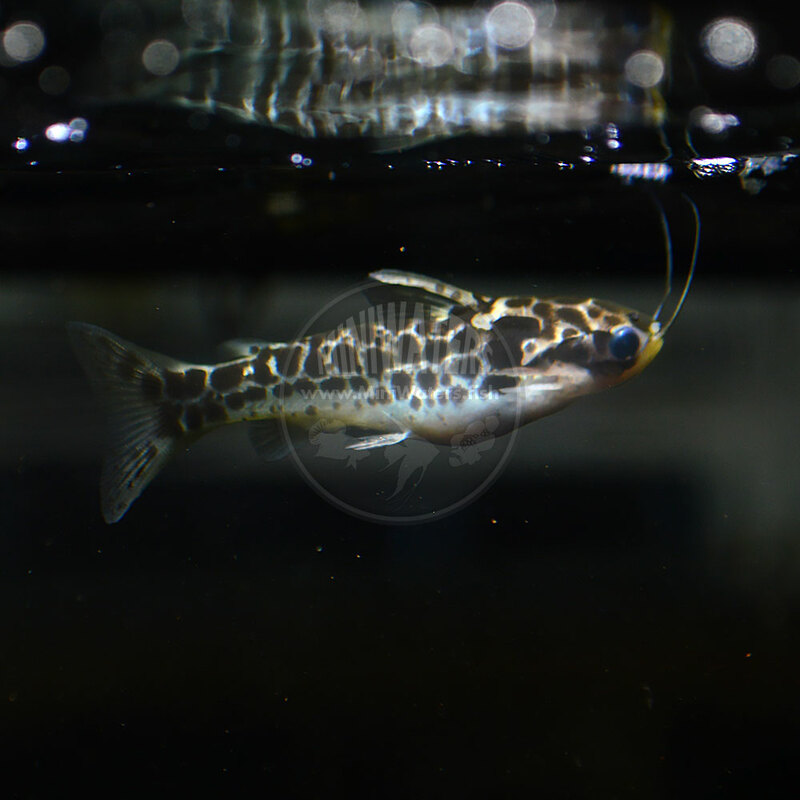 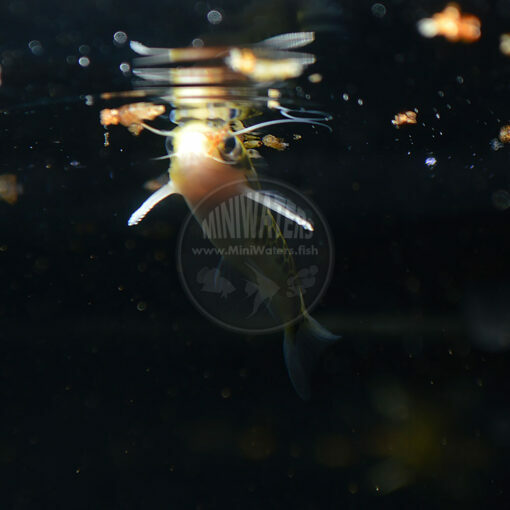 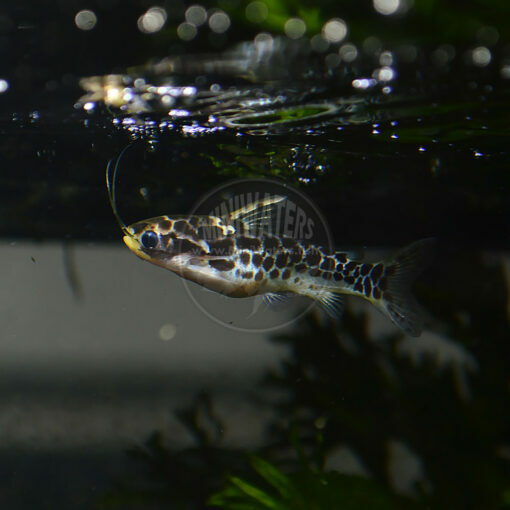 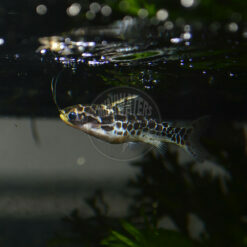 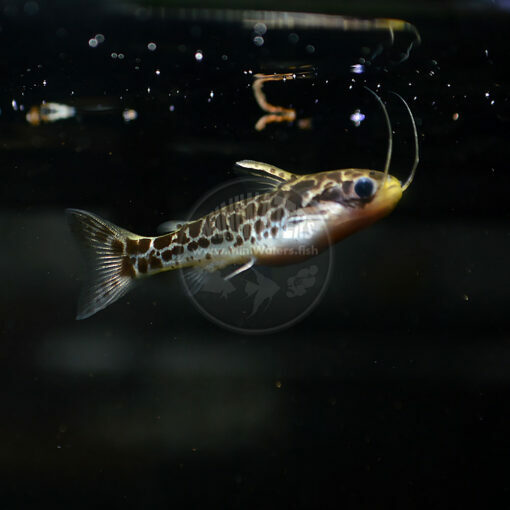 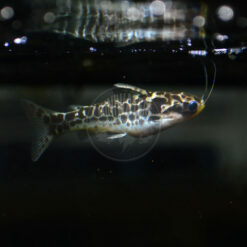 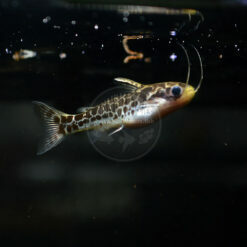 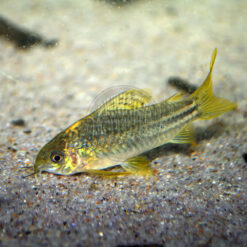 Centromochlus perugiae goes by at least a couple trade names, including the Oil Cat or Honeycomb Tatia Catfish. 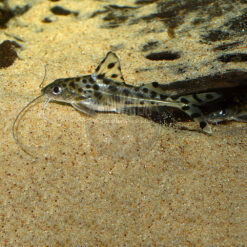 It is truly one of the more bizarre fish I’ve encountered in my time as an aquarist. While it’s nocturnal nature isn’t all that surprising, the fact that it’s actually a surface feeding catfish did somewhat throw me off. 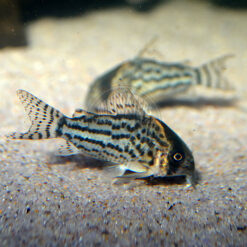 They’re generally considered to be a rather peaceful fish. They remain hidden in the driftwood and Java Fern most of the time, but when food (particularly bloodworms) hits the water, you’ll get a wonderful, even if all too brief display. 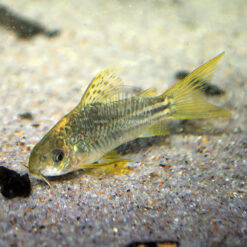 Note, they haven’t seemed interested in any dried food in my care, the exception being freeze dried bloodworms. 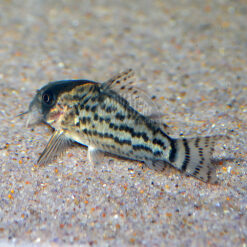 These fish are sold as-is in terms of sexes, but if you have any requests, I will try to honor them, no guarantees.